Business is thriving. New customers are coming through the door every day and you find yourself needing to take on additional staff. As the business grows, so does your reliance on technology, and you know that if any of your systems were to go down, you would be in a very difficult predicament. Most business owners find themselves at a cross road where they need to decide on whether to hire an internal IT support person, or outsource to a professional IT services company. If this is you, it may help to consider some of the many benefits of using an outsourced service provider over expanding your internal team. 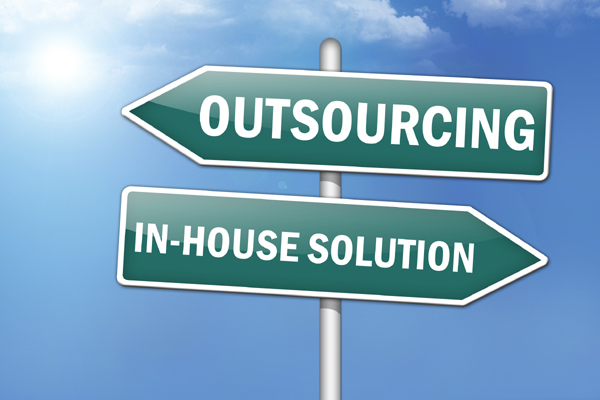 The most substantial benefit to outsourcing is cost savings. It’s no secret that hiring and training new staff is expensive and time consuming – and if they happen to leave, you need to repeat the same process all over again. With outsourced IT support, you only pay for what you need, when you need it. There is no need to performance manage staff, or worry about your Human Resource obligations. You can simply focus internal resources on achieving higher level objectives. IT is constantly evolving, and lagging behind new developments in technology and changes to best practice can cost you more than time and money…it can also damage your reputation. Rather than worrying about what your IT support staff should be studying, and then organising costly training, you can rest assured that your outsourced service provider has invested their time and money in maintaining the skillsets of their staff. For example, at Empreus IT, ongoing learning and development is essential to team culture. It is our business to know what’s happening in our industry, and to ensure that our clients benefit. DIY tech updates and malware-fixes have never been so popular, yet the diversity of software products has never been so abundant, and viruses never so sophisticated. Attempting to manage IT on your own, even with a seemingly qualified internal support person, can be very risky. Your business likely collects important confidential information about your customers or clients, and the consequences of failing to protect that data can be severe. By choosing outsourced IT support, you are essentially transferring much of that risk to your provider – as they become responsible for helping you get compliant and stay compliant. They can objectively assess where your greatest risks lie, and develop a plan to ensure those risks are managed. At Empreus IT Support, we evaluate the risks our clients face – such as deficient security, the presence of malware, out-of-date systems, poorly customised software plans, and so on – and provide immediate solutions. How much does your business invest in the resources needed to deliver your product or service? It is likely significant when you factor in everything from tools of trade to personnel, infrastructure and collective knowledge. Because IT is our business, we invest significantly in the resources needed to provide the best IT support services. And rather than wasting your valuable resources on acquiring new resources that have very little to do with your core business, it stands to reason that outsourcing is likely the best decision. Worrying about whether or not your computers are working properly is probably a concern you can do without. Especially considering IT is highly complex, and requires the proper skills and experience to get it right. Outsourcing IT support allows you to maintain focus on what you do best – running your business. It is our job to stay on top of the latest developments in IT, such as new applications and software to help you work better and faster. Instead of worrying that you’re constantly behind the eight ball, you can ask us to evaluate your current position and provide recommendations on how you can leverage advancements in tech to improve efficiency. And when you identify what you want, there’s no need to hire and train before you roll it out. You just roll it out. Keen to outsource your IT support to the experts? Call Empreus IT Support on (02) 6189 1322 or contact us now for an obligation-free chat about your IT needs.